Gluten free and refined sugar free biscotti recipe. 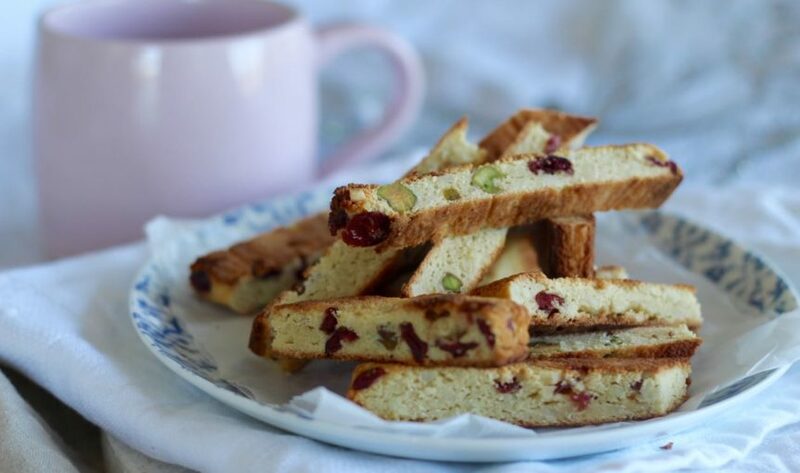 This gluten-free and refined sugar-free biscotti recipe is oh so delish! We think it’s an undervalued sweet treat recipe really. We get it, anything with double chocolate or salted caramel definitely wins. But maybe just ONCE you could go for something different, like biscotti! If you’re having a morning or afternoon tea thing over the festive season we recommend baking up a batch to serve with tea and coffee. Yes, serve this biscotti with a cup of coffee and you’ll create some kind of magic. Actually, even if you’re not entertaining bake up a batch for unexpected visitors. It even looks Christmassy with the dried cranberries and pistachio nuts (oh, Carla does have her Christmas baking on point this year!). It would also make an epic Christmas pressie! Buy a nice plate or bowl, fill it with biscotti, wrap in cellophane and tie with pretty ribbon. Wa-LAH! 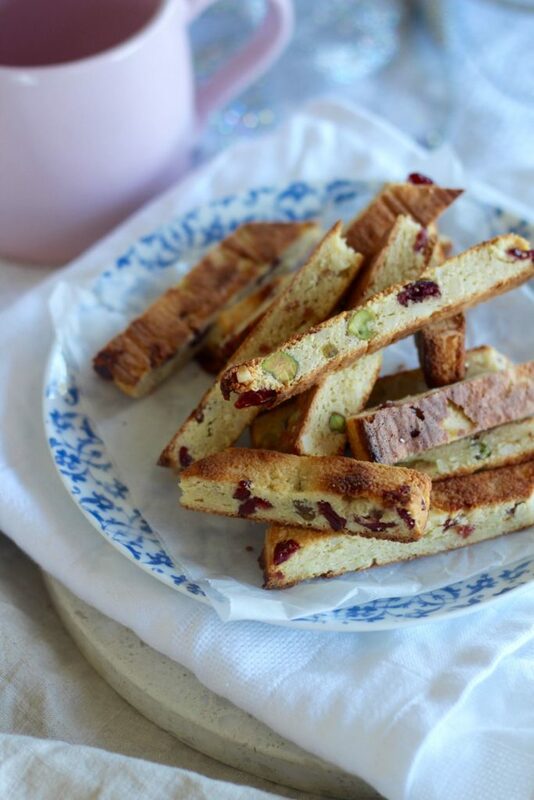 If you make this epic gluten-free and refined sugar-free biscotti recipe let us know! We’d love to see a delish as picture! P.s we’ll also add this recipe to the Get Merry recipe app! Check it out here. In a mixing bowl, place the almond meal, sweetener, almonds, pistachios, cranberries, tapioca, baking powder and salt. Mix until combined. Add the eggs, coconut oil and vanilla, mix until a sticky dough forms. Place onto the baking paper, cover with another a piece of paper, then roll out to make a long rectangle. It should be about 1 1/2 cm (1/2 inch) thick. Place into the oven for 18 minutes. Take out of the oven, allow to cool, then slice into long, thin pieces. Turn the pieces of biscotti over, then place back into the oven for another 15 minutes. Turn off the oven, open the door and allow the biscotti to cool completely inside the oven. This will make sure it gets nice and crunchy. YUM! Store in an airtight container for 2-4 days.